On Sunday afternoon I watched Liberty Professionals FC beat Real Tamale United FC in an important relegation battle in Accra. It was unfortunately a poor game, which yet again showed that the GLO Premier League is in desperate need of better strikers. A lot of clear chances were missed and this has been the case in so many matches during the season. Patrick Antwi (born 04.11.1987) was the goalkeeper of the evening for Liberty Professionals FC. A few years ago, Antwi was considered as one of the best goalkeepers in Ghana. However, Antwi has made several errors during the last couple of seasons and is not first choice at Liberty Professionals FC any more. This season, the goalkeeper spot has been shared between Antwi, Osei Boateng (born 19.05.1981), James Akwasi Acheampong (born 30.11.1991) and Daniel Agyei (born 10.11.1989). Antwi had a good game at Sunday but was not tested very much. The youthful Alfred Nelson (born 18.08.1992) and the experienced David Addo (born 07.09.1982) both made impressive performances at the heart of the Liberty defence. I have seen Nelson three times this season and this young man should have a bright future ahead of him. Nelson, formerly of Unistar Soccer Academy, was a surprise inclusion in the Ghana B CHAN squad earlier this winter. Nelson joined Liberty in January and has been a regular member of the team ever since. Nelson is a calm and strong central defender who plays with a maturity way beyond his age. Right-back Atta Kusi (born 25.10.1992) and left-back Richard Antwi both did well and controlled the RTU-wingers. None of the full-backs are regular players at Liberty and will be hoping to establish themselves after this performance. It cannot be questioned that Michael Helegbe (born 15.09.1985) is the playmaker of Liberty and probably their most important player, although his performance at Sunday was not too impressive. Helegbe returned to Ghana after spending several seasons in Europe, playing for SK Brann(Norway), EA Guingamp(France) and KV Oostende(Belgium). The petit midfielder is a skillful and creative player. James Kotey is a tough central midfielder who usually focuses on his defensive duties. However, on Sunday he showed some impressive attacking passes. I have seen Kotey three times and this was in my opinion his best match. Kotey joined Liberty in January 2011 and has been a regular player ever since. Kotey was replaced by Christopher Nkansah (born 01.01.1990) who had a good game as he stabilized the midfield of Liberty. Nkansah is very comfortable on the ball and a good passer. Isaac Donkor (born 16.11.1991) played at the left side of the midfield and I must admit that I am getting more and more impressed with this hard-working player. The former Ghana U-20 star has been a key player for Liberty since 2008-2009. The right side of the midfield was marshaled by the enterprising Issah Yakubu. Together with Helegbe, Yakubu gave RTU left-back Ibrahim Moro a hard time. Yakubu has impressed me since I first laid eyes on him, primarily because of his skills, passing and creativity. The point man of the evening was newly signed center forward Nathaniel Quaye. According to the commentators, Quaye made his debut for Liberty and although he worked hard and gave the RTU defenders a hard time, he proved to be rather ineffective. I believe Quaye is the former striker of AshantiGold SC who scored 4 league goals in 2007-2008. However, this has to be confirmed. Quaye was replaced by a striker I am getting more and more impressed with; Kevin Kouakou Kouadio from the Ivory Coast. The hard working, lively and creative attacker is not a regular player at Liberty but always seem to cause havoc when he enters a match as a substitute. Kouakou scored his fourth goal of the season. James Kwame Abban (born 31.07.1988) played in a rather free role beside Quaye. Abban is unfortunately notorious for burning chances but I must admit that I am very impressed with his work rate. At times he seemed to be all over the pitch. He is not always elegant but he wears his heart on his sleeve and never allowed the RTU defenders to rest. If Abban is able to work on his finishing he could very well become a fine striker. Abban was eventually replaced with Michael Appiah, a striker who has been a fringe player at Liberty all season. He made an impressive performance and scored his first ever league goal few minutes from time, a perfect and clinical finish from about 11 meters. Real Tamale United FC, the team pictured above (picture taken from Ghanasoccernet), played a very poor match last Sunday but some of the players can hold their head high. John Adjetey, the experienced goalkeeper, made very few mistakes and cannot be blamed for the loss. He is a confident and agile goalkeeper, formerly of Real Sportive and Great Olympics. The left-back of the evening was the much-hyped Ibrahim Moro, a very attacking-minded left-back. Unfortunately, Moro struggled hard with Michael Helegbe and Issah Yakubu and failed to impress me. Veteran Hassan Mohammed played at right-back. Mohammed is the former regular right-back at Hearts of Oak SC and is definitely one of the most important players at RTU. He struggled with Isaac Donkor and made few creative contributions. Mohammed is actually joint top scorer with three goals this season. The central defence consisted of Seidu Junior Fatau and Hannan Giwah. I have always liked Giwah as he is a very strong and hard-tackling defender. He is perhaps not the fastest, but compensates with his experience and calmness. Giwah played for Asante Kotoko FC in 2008-2009 and parts of 2009-2010 but failed to establish himself at the top club. Fatau is a young and inexperienced player who failed to impress me. The central midfield duo of Toufik Alolo (born 01.10.1982) and Atia Sumaila (born 20.06.1985) was the biggest disappointment from my point of view. Alolo, the captain of the team, is usually a major creative force while Sumaila is the engine of the RTU-team. It cannot be questioned that Helegbe and Kotey / Nkansah won the midfield-battle. The wingers Richard Yeboah (born 26.09.1984) and Baba Iddi (born 13.10.1989) switched between left and right but Iddi is obviously most comfortable on the left. Iddi gave everything he had and took some beatings while the burly and skillful Yeboah failed to make his mark. Yeboah is usually an important member of the team. Center forward Sumaila Nyanya is widely regarded as the most dangerous frontman at RTU but Nyanya had to go off rather soon because of injury. He was replaced by striker Shilla Alhassan, not to be confused with his brother Illiasu Shilla Alhassan (born 26.10.1982) who played at the 2006 World Cup. Alhassan, formerly of Asante Kotoko FC and Guan United FC, is an experienced and somewhat immobile striker with a great physical presence. The other striker of RTU was in-form Benjamin Boateng (born 03.06.1991), on loan from Hearts of Oak SC. Boateng is a lively and hard-running striker who can also play on the wings. He was closely watched by Nelson and Addo the entire match. RTU used two other substitutes; Amos Acheampong and right-winger Richard Armah (born 30.12.1988) but it was difficult to get an impression of the two in such a short time and in a period when Liberty controlled the match. 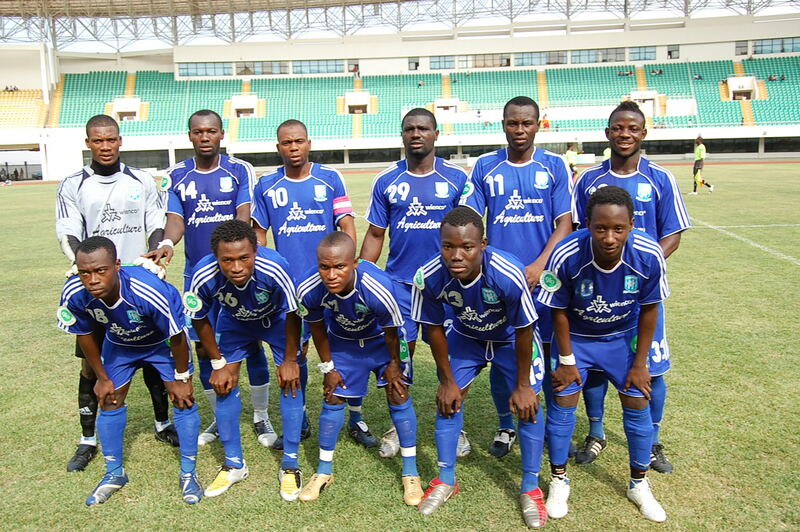 « PART TWO – AGE-CHEATING IN THE NIGERIA U-20 NATIONAL FOOTBALL TEAM? i am Obed Arthur Gospels a 17yr old boy from Ghana,Takoradi to be precised.i am a talented centre half defender and i have passion for football and i will like to realize my career in your noble academy.i am a serious and aggressive player on the field of play.pease notify me if i’m concidered.